The White House cited bad weather that grounded his helicopter. 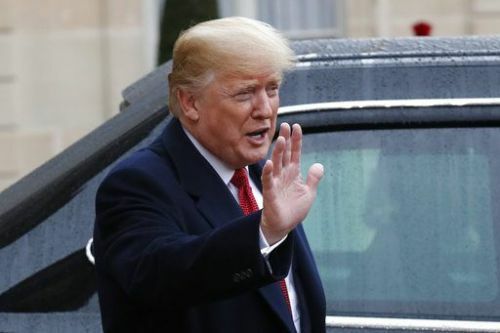 PARIS - President Donald Trump canceled a planned visit Saturday to a cemetery for Americans killed in World War I, the White House citing bad weather that grounded his helicopter. PARIS - President Donald Trump cancelled a planned visit Saturday to a cemetery for Americans killed in World War I, the White House citing bad weather that grounded his helicopter.